a From low Earth orbit. performance for a specific distance traveled can be determined from Table 1.6. To escape the gravity of Earth, the A V must be at least 3.238 km/s to provide an escape speed of 11.056 km/s. For the assumed mass ratio in LEO, the propulsion system thrust required (in newtons) is about numerically equal to the Isp for a 1000 kg spacecraft and an 82 AU mission. The thrust and specific impulse values required increase inversely with the travel time. The 1.5-year mission required Isp is 6.3 times the 9.5-year mission and the 0.5-year mission required Isp is 20.6 times the 9.5 year mission. 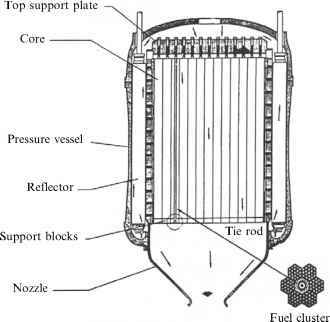 That would put the propulsion capability in the "future system'' capability, as shown in Figure 1.5. The shortest mission time would be in the "possible systems'' that researchers are expecting to be available much later in this century. The challenge will be the thrust versus operating time required as the mission time decreases. Probably the Russian rocket chemical rocket engines hold the record for the longest continuous engine operation as achieved with the Kuznetzov NK-31 engine being used for the proposed Kistler low-cost rocket. To illustrate the magnitude of the propulsion performance required to achieve a rapid transit to a particular distant destination, a one-way mission to Pluto (39.4 AU average distance from the Sun) will serve as an example. The propulsion system performance required is given in Table 1.7. The mass ratio is four for the one-way trip and the spacecraft mass is 1000 kg. For the shortest mission to Pluto, the propulsion system must generate 15 times the thrust and operate twice the duration. That is a serious challenge, given today's industrial capability in non-chemical space propulsion. Today's non-chemical space propulsion engine thrust is measured in tens and perhaps a hundred newtons. Chemical rockets have operated for perhaps an hour on the test stand, but to 17 or 20 hours continuously; then a restart a year later is a daunting challenge. So the spacecraft today are based on our current launch motor capability of high thrust over a relatively short operating time. What is needed is a new development of deep space propulsion that has both higher thrust and longer operating times and that is capable of ready storage over long deep-space missions. Table 1.7. Propulsion performance for mission to Pluto for a 1,000 kg spacecraft.